Recognized by UNESCO as World Heritage Site since 2001, Douro Region is the oldest Wine Demarcated Region in the world, stretching through an area of more than 40 000 hectares. In a full-day wine tour you will have the opportunity to visit some of its more charming wine estates where Port and Douro wines are produced and enjoy a delicious picnic. Douro Valley is magical. Tour in Quinta das Carvalhas is very personalized given by knowledgeable guides. Views from Carvalhas are the best. Wine is very good. "This wine tour was truly amazing. Our driver was so kind and helpful and the tours of the vineyards themselves were spectacular. I will recommend this tour to everyone I know that will be visiting Portugal in the future." "Bom dia, de modo geral gostamos muito da experiência com a Wine Tour, e ficamos encantados com a região. O grande diferencial foi fazer o tour com motorista, pois otimizou nosso pouco tempo para conhecer a região. O motorista enviado, Rui, foi perfeito. Grande conhecedor e nos deixou muito a vontade." "Enjoyed a lot! If possible, I'd like to try again. Thanks a lot!" The overall organization of the trip was excellent nothing went wrong. Thank you guys for the Picnic with Douro Views and great Wines in Quinta do Seixo. The wine is very different, unique. We loved Miguel and the guides were wonderful. Leaving from Porto, with Private driver/guide, you will go towards the Douro Valley (Private Driver Option). 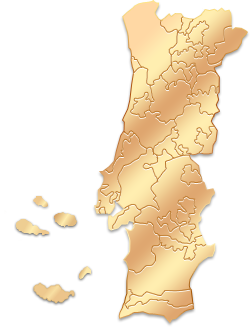 We will take you to visit some of the most charming places in Portugal. To start, Real Companhia Velha's crown jewel - Quinta das Carvalhas. In the largest estate in Douro where you will have the opportunity to discover the Estate and learn about the wine culture in the Douro Region and taste the great wines. Your journey will continue to Quinta do Seixo, where you will have the opportunity to enjoy a delicious regional products Picnic in the Vineyard (or have a wine lunch if it rains) accompanied with amazing views. After your lunch, you will visit Quinta da Pacheca or Quinta do Vallado, where you will be able to observe the quality combined with the most advanced technology and taste the famous wines. At the end of the day, Return to Porto (Private Driver Option).